Security freezes, also known as credit freezes, restrict access to your credit file, making it harder for identity thieves to open new accounts in your name. Starting September 21, 2018, you can freeze and unfreeze your credit file for free. You also can get a free freeze for your children who are under 16. And if you are someone’s guardian, conservator or have a valid power of attorney, you can get a free freeze for that person, too. How will these freezes work? Contact all three of the nationwide credit reporting agencies – Equifax, Experian, and TransUnion. If you request a freeze online or by phone, the agency must place the freeze within one business day. If you request a lift of the freeze, the agency must lift it within one hour. If you make your request by mail, the agency must place or lift the freeze within three business days after it gets your request. You also can lift the freeze temporarily without a fee. Ask students if anyone has already placed a credit freeze or a fraud alert. If so, what has been their experience? Encourage students to place a credit freeze since it is now free to freeze or unfreeze their credit file. What might be the advantages or disadvantages of placing a credit freeze? What can you do if a credit reporting agency is not placing a credit freeze or fraud alert properly? What Happens If You Don’t Pay Your Student Loan Bill? Your credit score will tank once your payment is 45-90 days late. You could wind up in default after 270 days, and the lender can ask for the unpaid balance in full and your account could be given to a collection agency. If you default on federal loan payments, Uncle Sam can take your tax return. The federal government can take up to 15 percent of your wages if you default on student loans. If someone consigned your loan, they also suffer the consequences for late payments or a default. For someone who has fallen behind on student loan payments, the article also provides suggestions that can help get back on track. Stress the importance of making student loan payments on time. Discuss the consequences of missing payments or defaulting on a student loan. Why is it important to make student loan payments on time? What are the consequences of defaulting on a student loan? Assume you are behind on your student loan payments. What steps can you take to find the money needed to make student loan payments and eventually pay off a student loan? In this MarketWatch article, Chuck Jaffe poses the following 5 questions to help people gauge their financial health. How many times your current (or last) salary do you have in retirement savings? If you don’t see the next New Year, what would happen to your family financially? When reviewing your finances, what is the single thing that makes you feel the best? The worst? In addition to the questions, Mr. Jaffe also provides information that can be used to improve a person’s answers to each question with the goal of helping people manage their personal finances and improve their financial life. Discuss each question with your students and explain how their answers can impact their personal financial decision making and financial security? Ask students to answer one or more of the questions in this article as an assignment. Why is your net worth, salary, savings, and debt-payment burden important? What implications does the question “If you don’t see the next New Year, what would happen to your family financially?” have on your financial planning activities? When you look at your finances, what makes you feel good and what makes you feel bad? Based on your answer, what can you do to change your answers to this question? Can You Pass a Personal Finance Test? This quiz can be used as a lecture launcher to start your Personal Finance course. As a lecture launcher for the first day of your Personal Finance course. 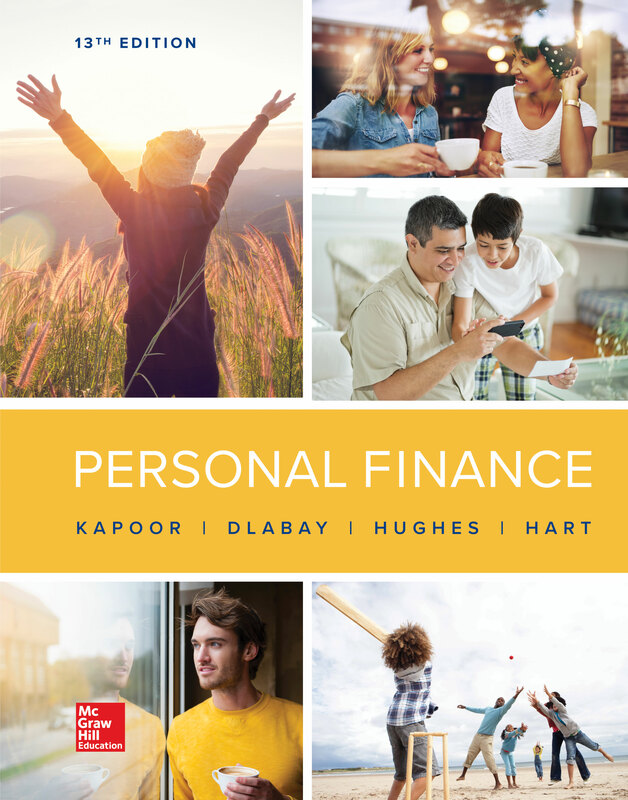 To preview important personal finance topics that will be covered in the course. Stress why everyday decisions can make a “big” difference in the quality of a person’s life over a long period of time. Each year, it seems that banks are reporting ever higher profits. How do they make so much money? By charging customers service fees! ATM Fees-It’s important to know where ATM’s are located that are in your network. This will help you avoid a charge to use another bank’s ATM. Account Fees-Check the fine print. Is there a fee if your balance falls below a certain limit? The limit fees are monthly and can really add up. Overdraft Fees-Know how much money that you have to spend. Budget wisely and make sure that you have a cushion in your checking account, in case of unexpected expenses. Fancy Checks-How cute! How much do those Frozen Personalized checks cost? The reality is that the checks and the shipping costs can be very expensive. There are numerous options to acquire cheaper checks (Sam’s club, BJ’s, Costco, Walmart). One more thing to consider: checks are used much less frequently today, so, that box of Frozen checks might last a really long time, make sure you like the design. Credit Reports-You can get a copy of your credit report for free from AnnualCreditReport.com, so, don’t pay for one. Loan Interest– As an incentive, banks offer a discount by utilizing more than one of their services. You might get a lower rate, if you agree to direct deposit, in exchange for a reduced interest rate on your loan. Bottom Line: Do your homework when it comes to bank fees. There are many ways to avoid spending money on unnecessary fees. Discuss these six fees with your students. Survey how many have paid at least one of these fees. Have students research at least two local banks and report back on the account fees that each bank charges. Do you believe that any one demographic pays more fees than another? Why? What are some other ways that people can avoid these fees?